Carrie's Story: I turned 55 this past spring - a time for reflection and a serious examination of who I had become. As a believer for 32 years, my walk with Jesus had become routine and stagnant and my physical health was suffering - I was overweight, lethargic, and feeling terrible about who I had become. I was facing some pretty serious questions. Would I submit to my current state...distant from God, sluggish, tired and withdrawn, or would I take action? 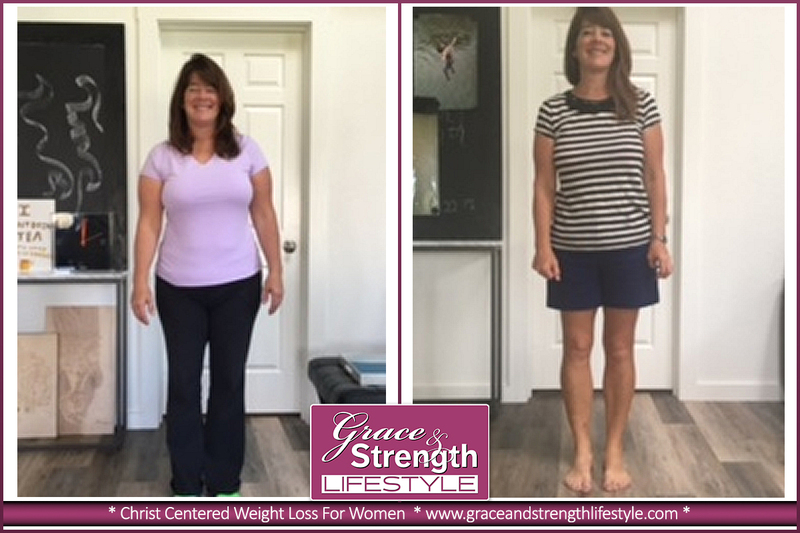 Erin's Story: I began the Grace and Strength Lifestyle program in April just following my 40th Birthday. The 9 months before I started the program were a challenge. My children were having troubles, and I had lost all focus on my health and well-being. I was never in an emotionally healthy state with food (more obsessive compulsive). I had a tendency of maintaining my weight with a binge and purge method. 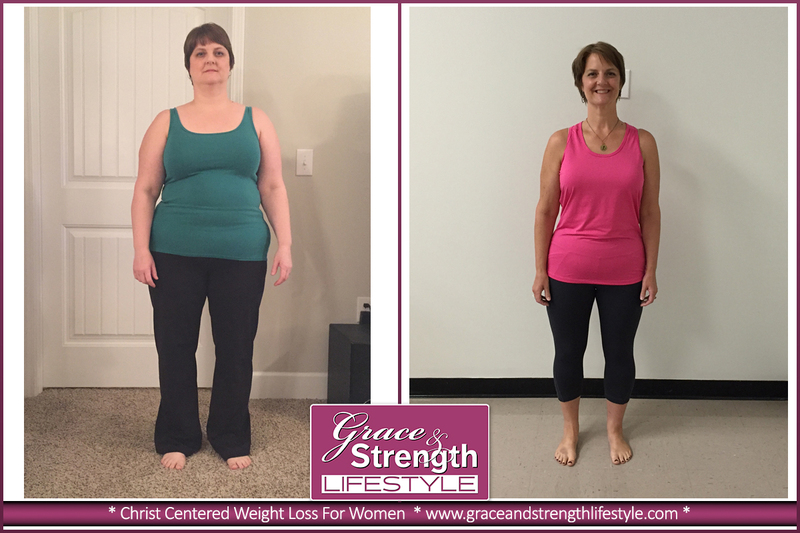 Ana's Story: The first time I heard about Grace and Strength Lifestyle was from a co-worker four months ago. The little information she provided me was enough to check out their website and then a phone call to learn more about this exciting life-style change program. I needed to do SOMETHING! I needed to get healthy. I needed balance in my life. I needed to replace unwise choices with wise choices. I needed to be more active physically. I needed to be around for my children and grandchildren. I needed to repent of the sin of idolatry. I needed to get my body in shape. I needed to lose weight. With so much to do, I figured I would start with the weight thing. Last July, my house flooded from the second floor to the basement. My family moved in with my parents and we spent the next 5 months renovating our whole house. It was a hard thing but it was in the long hard hours of physical labor on our house that I had time to think about my life, priorities and what I wanted for my future. Working through that prepared me for the next hard thing --- losing the extra weight I had been carrying around for the last 13 years.